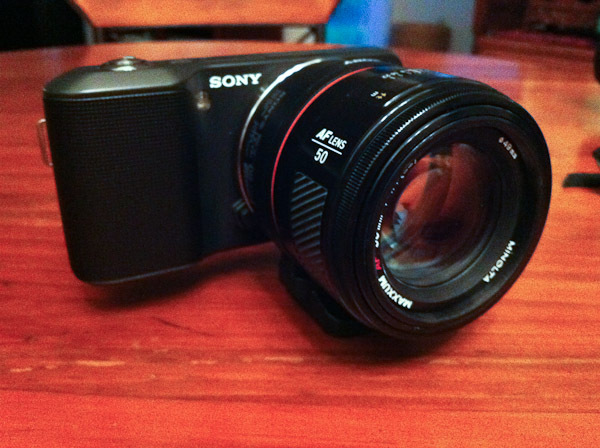 Well I got my NEX 3 today. 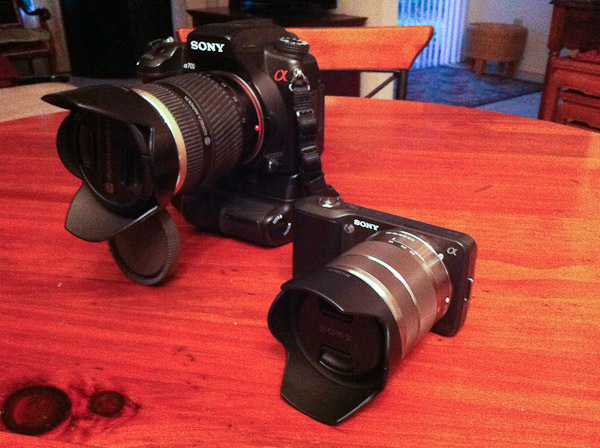 This is the bigger of the two NEX camera's on the market, and I must say this thing is absurdly tiny. I've seen them in the store before, but I never knew exactly how tiny it was until I got it next to my DSLR and then started putting some of my DSLR lenses on it with the adapter I also picked up. I can't actually use it yet as the battery is charging. Hard to imagine the NEX and the DSLR have identical sensor size. 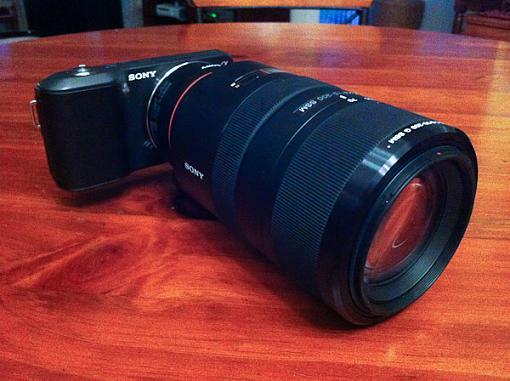 I haven't checked but I'm sure the NEX wins the image quality department since the DSLR is 4 years old. With a 50mm lens it's pretty reasonable. With the 11-18mm we have already entered the territory where the camera is now the accessory to the lens instead of the lens being the accessory. The 70-300 totally dwarfs it, but I will get AF since it is an SSM. Yeah that is why I like the 16mm. At least it is reasonably sized. It was a bit of a dilemma for me. I really like pancake lenses, and I probably would have bought the kit with the 16mm if I didn't have the immediate need for the versatility of the zoom. After the battery had finally charged and I got a chance to play with the LAEA1 adapter I was surprised at how easy it was to manually focus with the NEX. I might have been able to get away with buying the body only and just using the adapter with my alpha lenses. 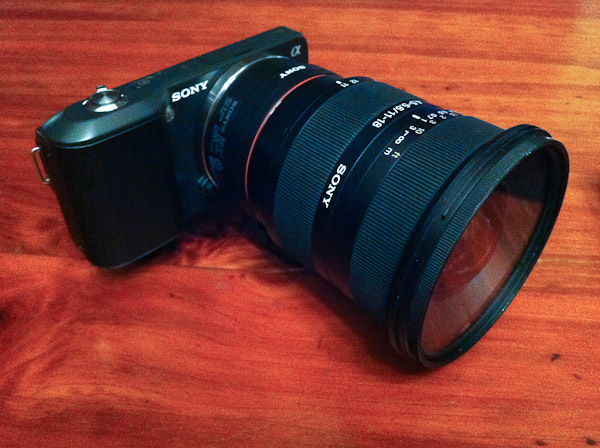 Though the monstrous size of the alpha lenses sorta of defeats the purpose of the small camera (but it would still be smaller/lighter than carrying alpha lenses and a DSLR).. Unfortunately I will be in the middle of my trip at that time. I doubt I'll have access to a computer to get the new FW. Oh well..